Revision and standardization of Observation/Measurement proforma for Accident Investigation/Inquiry. 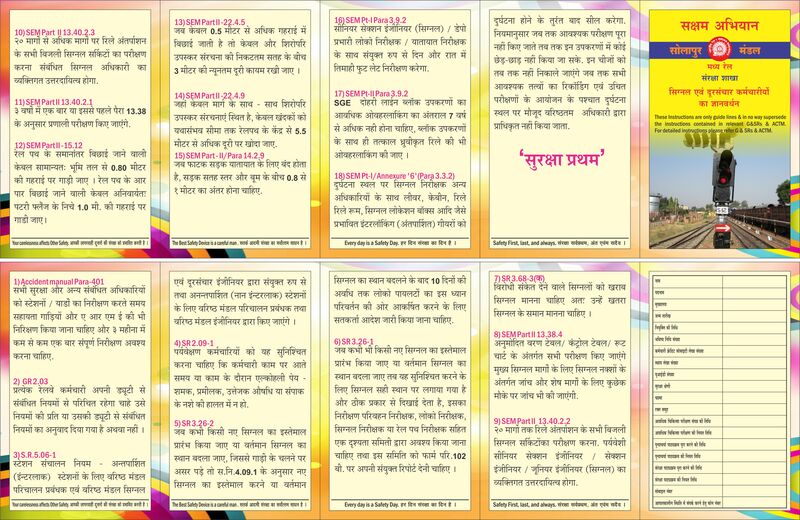 A booklet on "Accident Management" for front line staff has been published in English & Hindi. DOs & DON’T - For signaling staff. 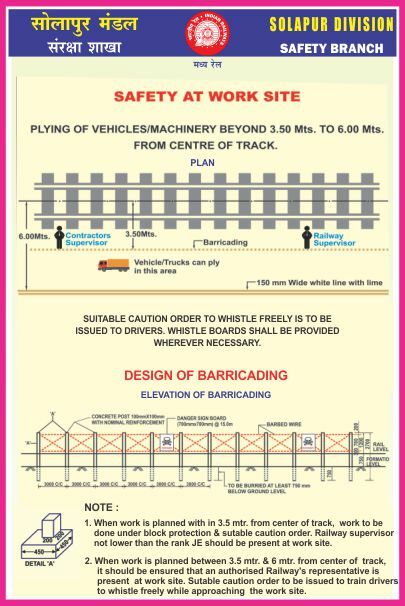 Securing of vehicles/loads/trains/locomotives at station. 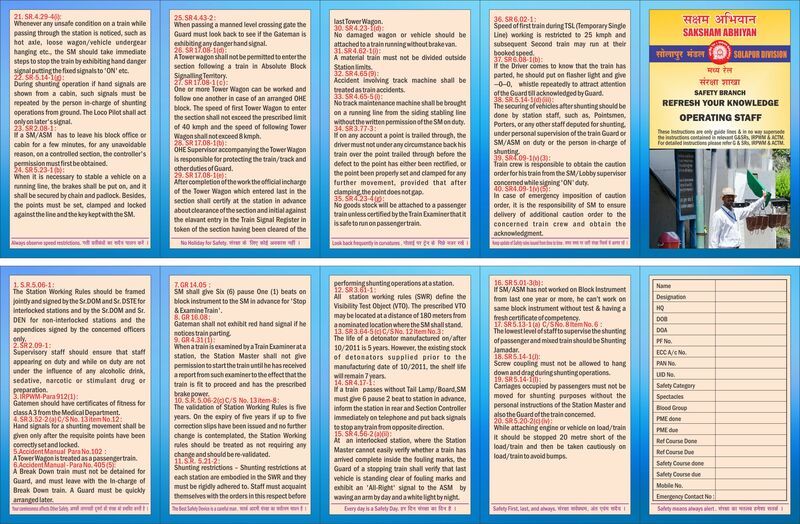 DOs & DON’T – SM/ASM/Station & Cabin staff. 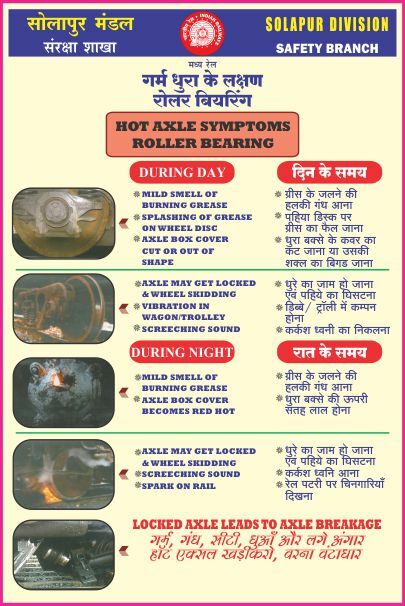 Hot Axle symptoms roller bearing. Eliminate brake binding & flat wheels. Safety Circular No.01 - Monsoon Precautions. 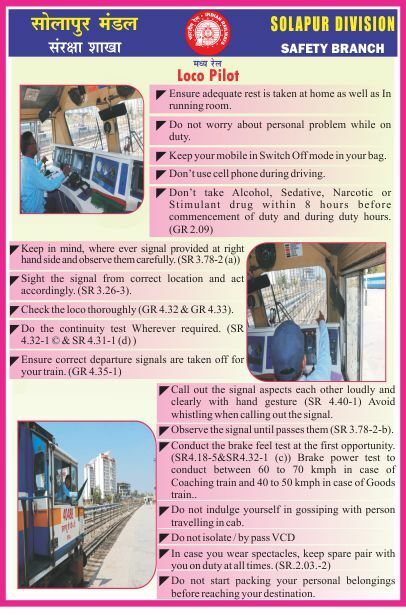 Safety Circular No.02 - Control of Shunting & responsibility for shunting. Safety Circular No.03 - Safety precaution in OHE territory. 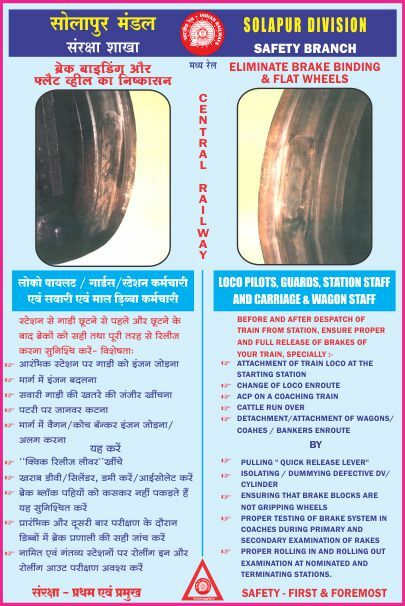 Safety Circular No.04 - Timely detection of Hot axle to prevent derailment. 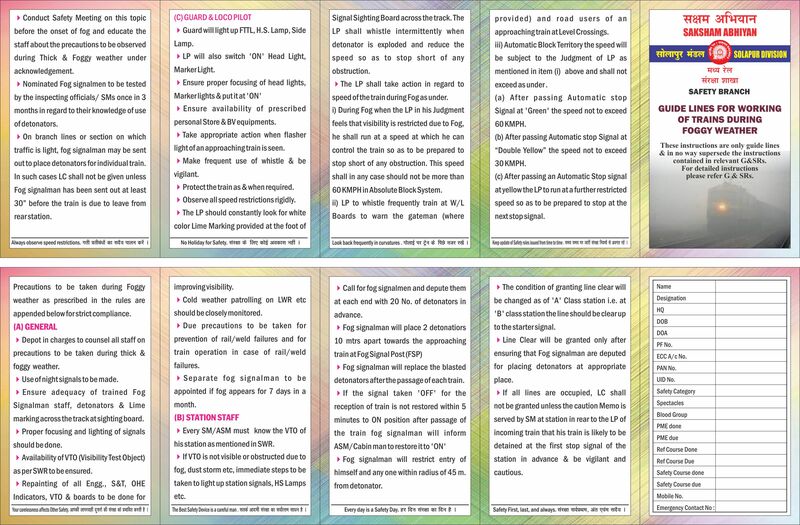 Safety Circular No.05 - Prevention of fire incidences. Safety Circular No.06 - Precaution to be taken while working/excavation near or on running track. 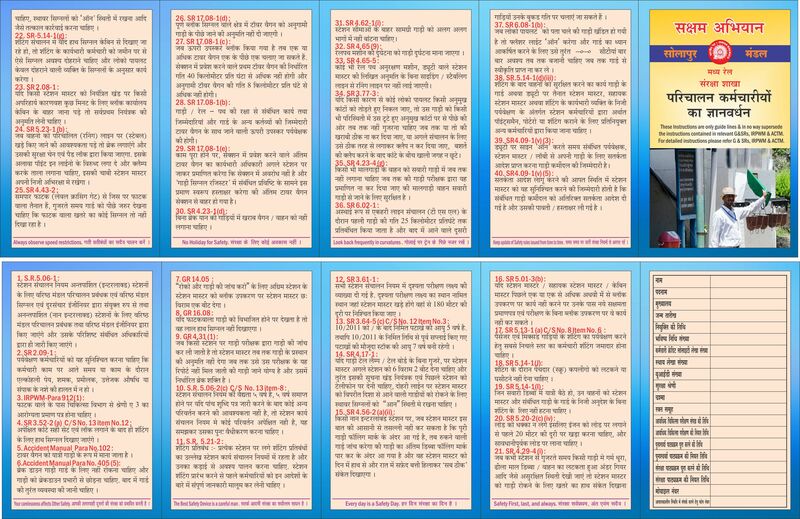 Safety Circular No.07 - SM's know your responsibilities. 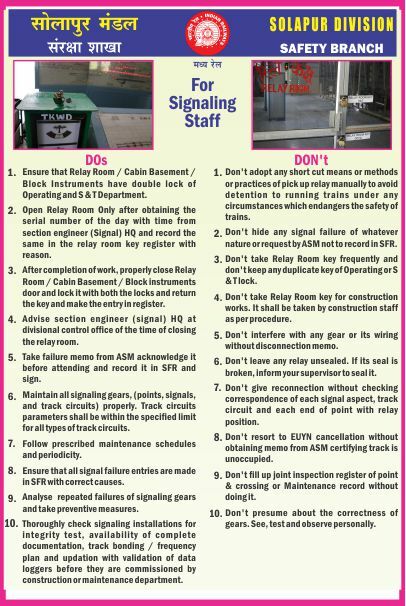 Safety Circular No.08 - Procedure for putting back signals - Extract of relevant instructions. 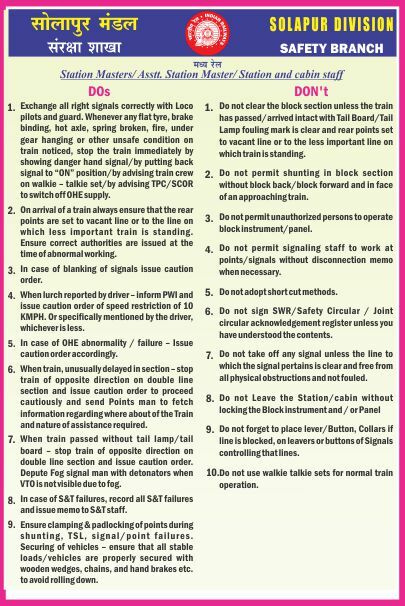 Safety Circular No.09 - Unified Subsidiary Rules to GR 6.07- Train operation in case of Loco Pilot and / or Guard experiencing any abnormal condition in the track, information of sabotage or likely sabotage to the track/bridge/fixed installation and obstruction on adjacent line(s). 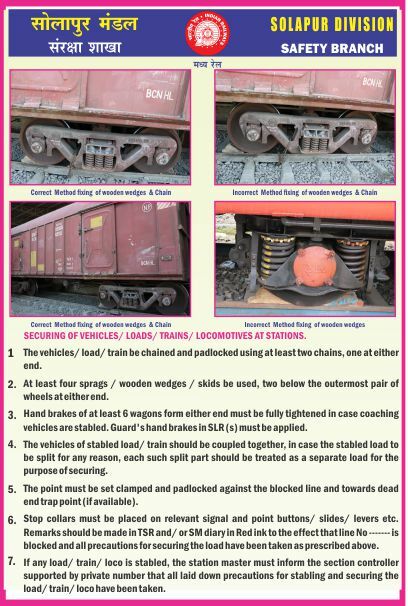 Safety Circular No.10-Securing of vehicles/loads/trains/locomotives at stations and in block section. 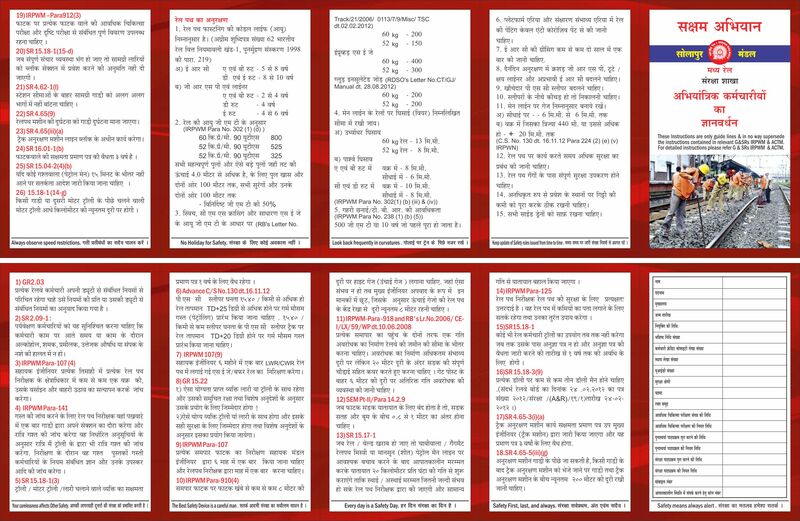 Safety Circular No.11-Action to be taken in case of rail/weld failure or rail breakage. Safety Circular No.12 - Precaution during fog. Safety Circular No.13 - Procedure for disconnection and re-connection of S&T gears. 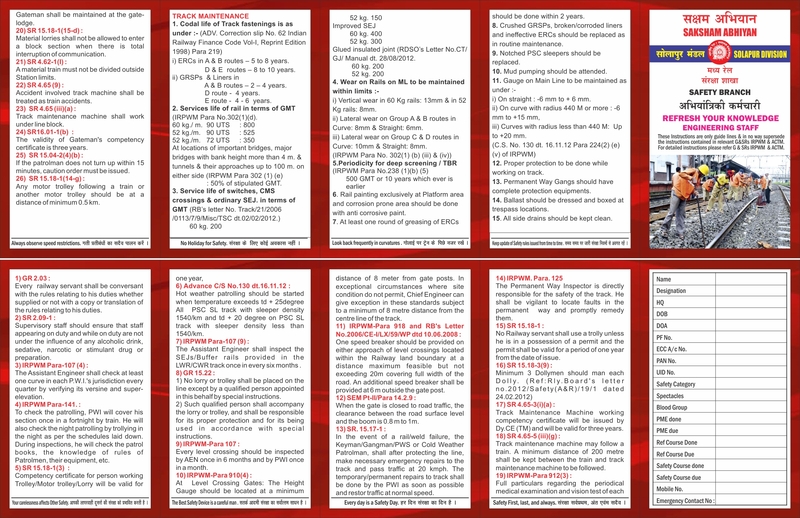 Safety Circular No.14 - Winter precaution in maintenance of track and winter preparedness. 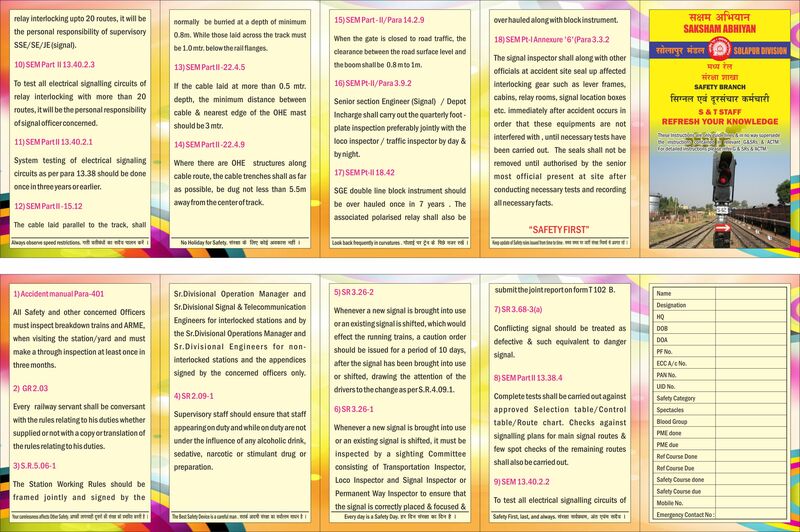 Safety Circular No.15 - Safety at Engineering work sites - Precautions to be taken. 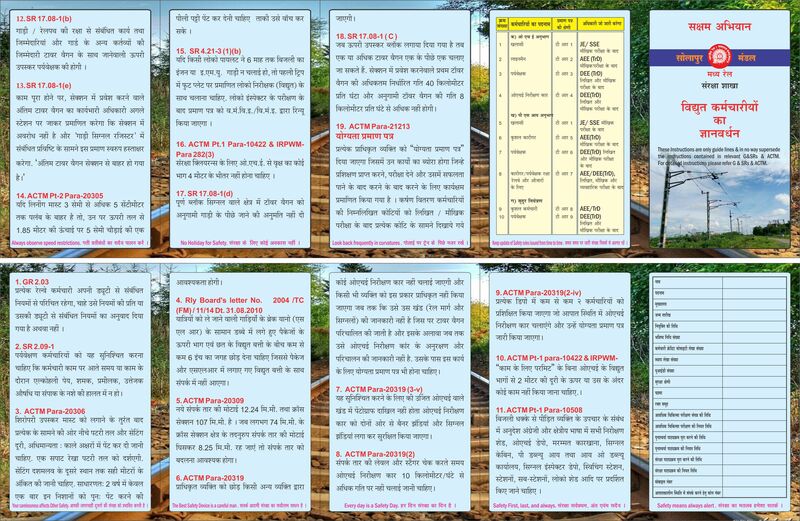 Safety Circular No.16 - Cold weather patrolling of Railway Track. 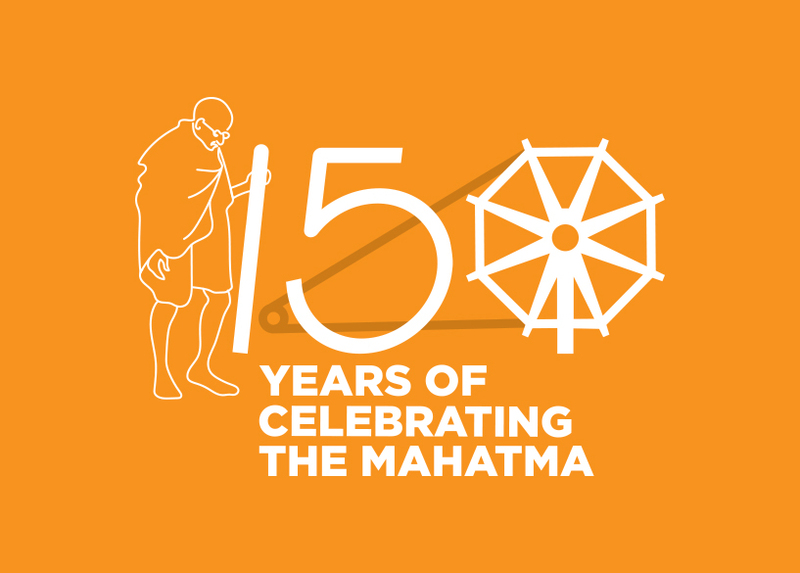 Safety Circular No.17 - Prevention of incidence of Flat Wheel. 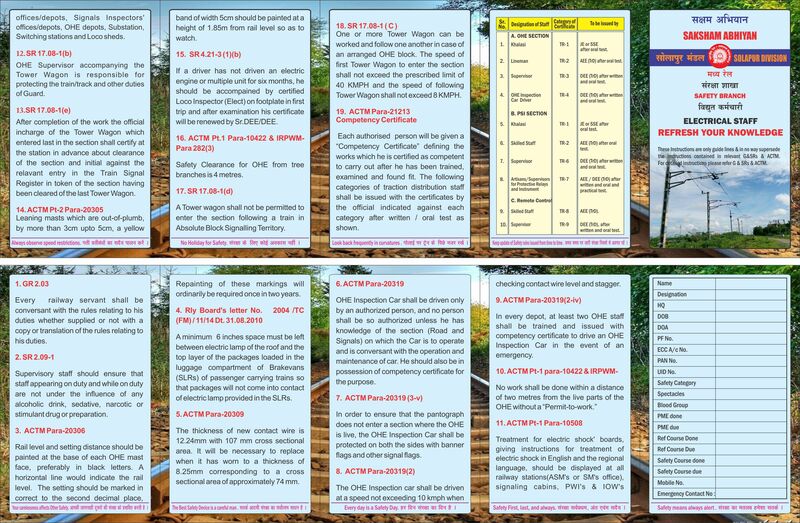 Safety Circular NO.18 - Protection of trains stranded in Mid Section - Extracts of relevant important item. 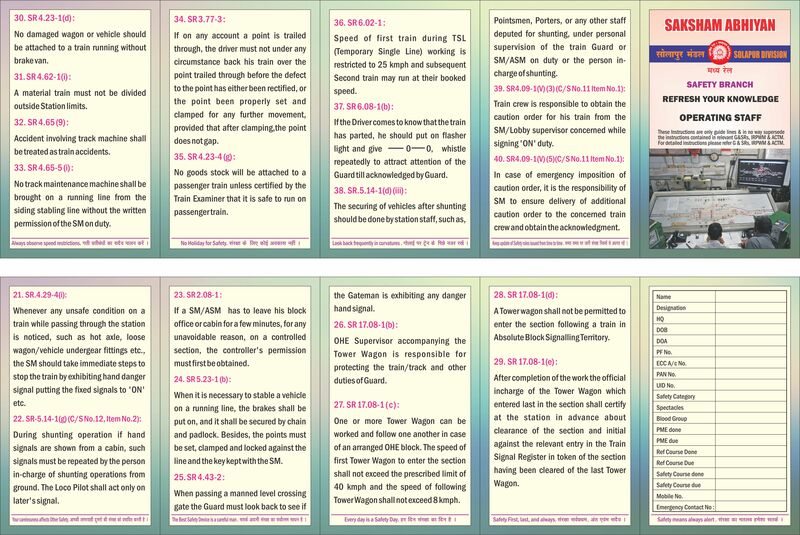 Safety Circular NO.19 - Procedure for dealing with cases of sabotage or train wrecking. 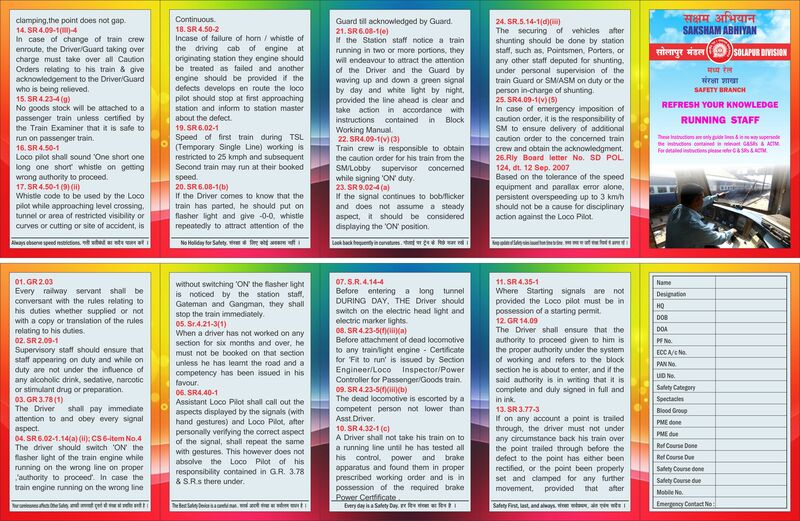 Safety Circular No.20 - Summer Precautions - Maintenance of LWR/CWR. 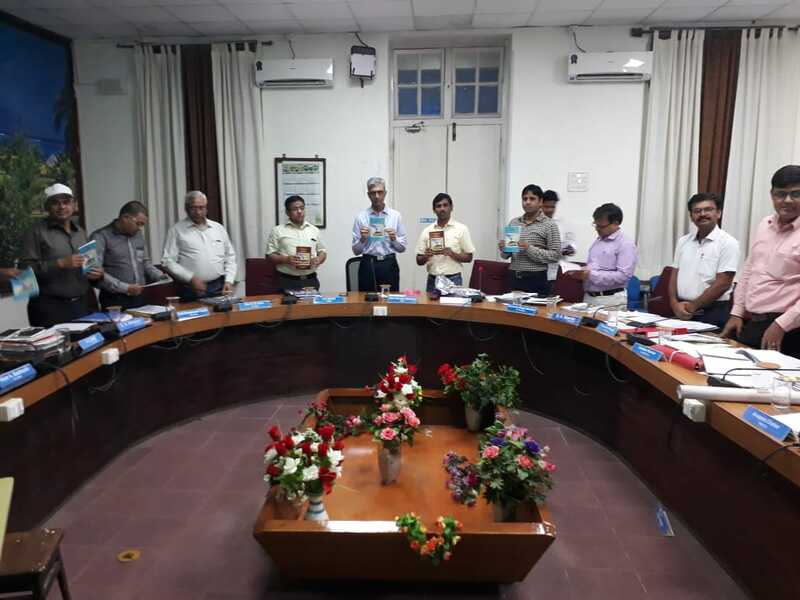 Safety Circular No.21 - Functioning of Vigilance Control Device (VCD) on Locomotives. Safety Circular No. 22 - Use of Walkie-talkie sets. Safety Circular No. 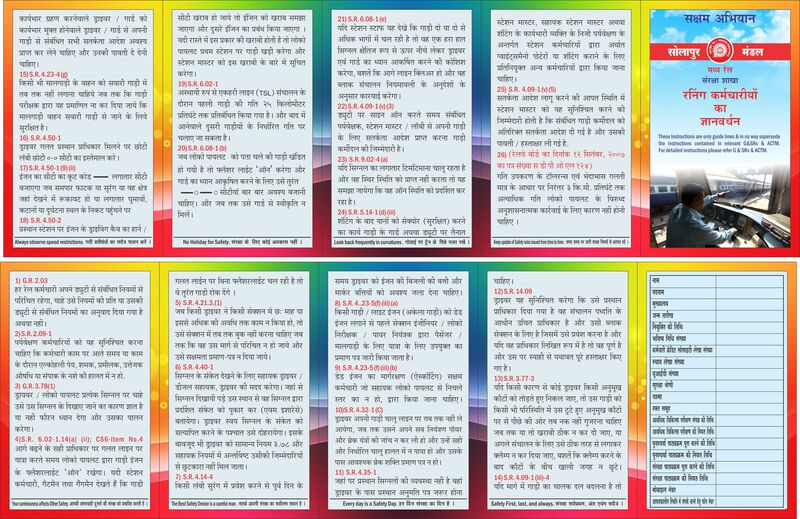 23 - Prevention of fire incidences.